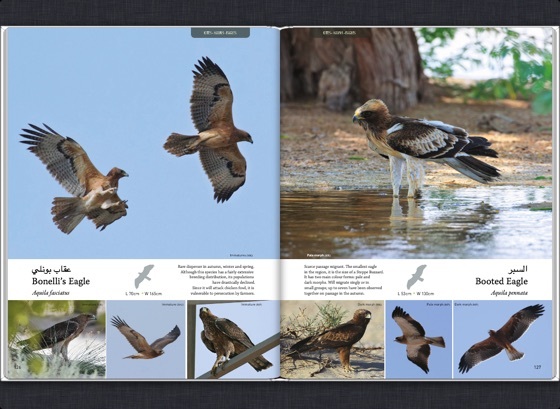 First published in 2012by Biodiversity East, Nicosia, Cyprus (www.bio-e.org) and sponsored by Kuwait Foreign Petroleum Exploration Company (KUFPEC), Kuwait (www.kufpec.com) a subsidiary of Kuwait Petroleum Corporation (K.P.C.). 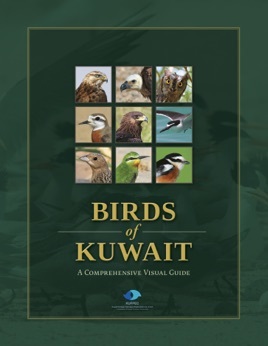 This comprehensive visual guide to the avifauna of Kuwait illustrates all the known recorded species of birds (408 taxa) that have been recorded in the wild in Kuwait up until June 2012, with information about their presence, frequency of occurrence and descriptive photography, the great majority of photos shot in Kuwait (all photos not shot in Kuwait are marked with the country of origin). 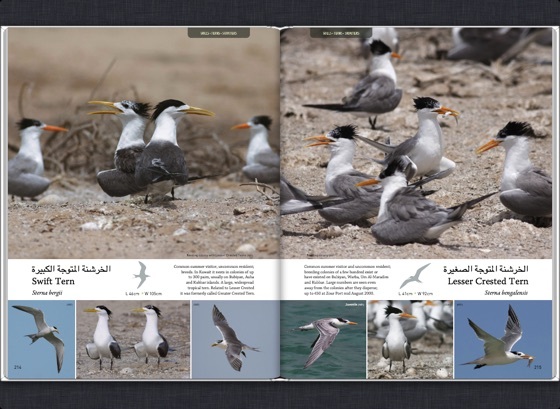 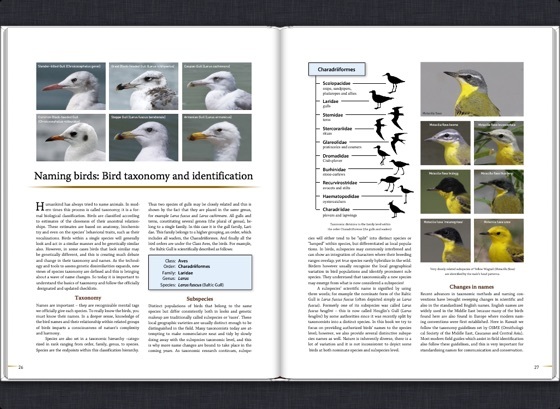 The book also contains an introduction to the ornithological importance of Kuwait, as well as essential information on bird taxonomy, birding, bird conservation and the most important locations for birdlife in Kuwait.43 photographers and naturalists have kindly volunteered their work for the purposes of this guide. 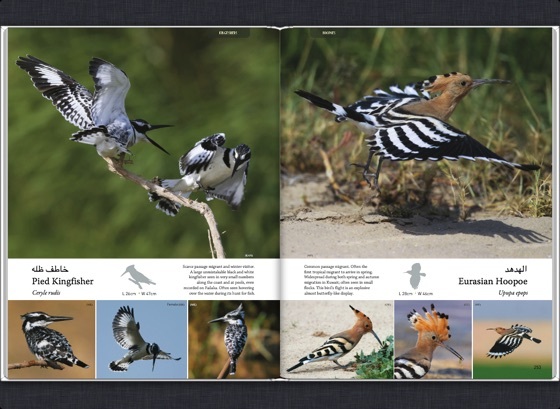 This book includes around 1400 photographs, selected from a set of over 5000, all offered free of charge by the volunteer photographers.